Releases are in no particular order; list supplied by Ian Slater--thanks, Ian! Down By the River, Blanket Made of Soft Love, When He's Loved Too Much, More and More and More, I'm So Glad, Long After Love, Love Is, What's To Become Of Us, Melody of Time, Doesn't Realize. First of all, I'm not too crazy about the early Decca releases, but perhaps a few of them should be included for history's sake. "All Through The Night" deserves a spot on the disc. Naturally, all the hits should be here, including both versions of "I Love How You Love Me". Because the girls' "Glass House" album and Priscilla's first and last solo LPs are so hard to come by (and usually attract eBay bidders who drive up the price when they appear on the auction site), the entire contents of all three should be included--and what the heck, let's add everything from "Priscilla Loves Billy". Of course, I couldn't leave out all the songs from the best Paris Sisters LP I've heard to date, "The Paris Sisters Sing Everything Under The Sun!!!". But I feel it's essential to include not just all the album's cuts in stereo, but also at least three of them from the mono version. Why in the world, you ask? Because, having heard scratchy 45s and LPs of these three tracks in mono before I heard them in stereo, I had every reason to believe that while the instrumental backing sounds the same, the girls actually sang the lyrics in two separate recording sessions--one for mono and one for stereo...although a source at Eric Records (see below) is positive this was never done; it was merely the result of some oddly-executed separation for the stereo pressing. And because I heard the mono versions for a few years before getting a stereo version of the LP, their vocal tracks on those mono versions just sound a bit better to me*. The difference is least noticable on "My Good Friend"; the only discernable change here is that the last "shoo-bee-doo-waa" before the line "You call me up whenever you are down" is sung in a higher key (octave?) that the preceding one in mono, but in stereo they're both sung in the same lower key, and I prefer the switch to the higher one. "Born To Be With You", the song that closes the set on '60s vinyl, suffers the same fate in stereo. When they sing the "do" in "Do I find peace of mind? ", it's the same octave all the way through. But on the mono pressing, they not only sing "do" with a change to a higher octave halfway through the word, but one can also hear another layer of vocals behind the main one at that point, and continuing to the end of the song. That's a great hook and it's a shame it wasn't used in the stereo pressing. 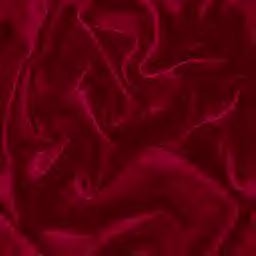 But the greatest number of changes occur--alas--on my favorite cut: "Some Of Your Lovin". This one really sounds like the Paris Sisters went back into the studio to redo it in stereo, even if they actually didn't. Not only does their singing for the stereo pressing sound somewhat less-inspired and memorable than in mono, but the lovely "doo-doo-doo" that follows the line "Now I don't expect you to guarantee" in the mono version comes out "ooo-ooo-ooo" in stereo. Also, the line that goes "Now I'm not a jealous child/My demands are mild" sounds in stereo as if the line was changed to "the demands are mild". And finally, as the song fades out, the repeating of the line "You gotta give me some, give me some of your lovin" is sung in the same octave throughout...but in mono there's a much more appealing octave change as the song ends. The shame of it is that the instrumental track is more pronounced in stereo and would have blended great with the mono version of the vocal track. "Some Of Your Lovin" is a great Paris Sisters song heard in either mono or stereo...but the mono version just seems so much more lush and better-crafted to me. *At least one other classic vinyl LP from about the same period--The Four Tops' "Reach Out"--has a couple of noticable differences between the mono and stereo pressings. When the opening title line of "Standing In The Shadows Of Love" is heard in stereo, it sounds like "tanding" or "danding", while the beginning "S" is much more pronounced on the old mono copy. And in their cover version of the Association's "Cherish", the line that goes "...when all I wanted was to touch your face, your hand, and gaze into your eyes" is sung on the mono version by only one of the Tops (Levi Stubbs?) --but in stereo they all sing the line together. Could someone please explain this? These web pages have gotten numerous visits from Albeth and Sherell Paris and their families, and just as significantly, from the President of Eric Records who informed me a while back that his company brought out a remastered stereo CD reissue of "The Paris Sisters Sing Everything Under The Sun!!! ", released July 20, 2004. Eric's staff prides itself on its ability to offer reissued works by various selected artists using the best possible master tape sources available, combined with meticulous attention paid to the stereophonic mixing process, so the end result is a product that sounds truer to what consumers should expect from a re-release of a favorite artist's work. In addition, a 16-page illustrated book was included with the CD, chronicling the girls' history as performers and featuring a memorial tribute to Priscilla. (They were also nice enough to include my name in the acknowledgements). Click on the label logo at left to visit the official Eric Records site--and by all means try to locate a copy of this superb Paris Sisters masterpiece. 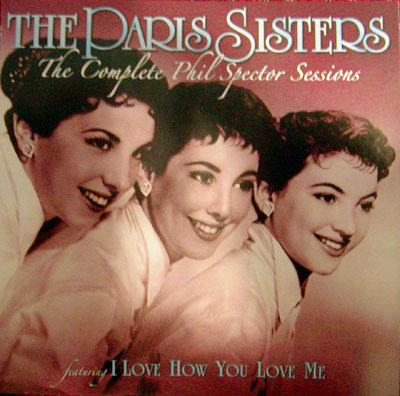 In 2006, another well-produced reissue CD of vintage Paris Sisters music was released on the Varese Sarabande label: "The Complete Phil Spector Sessions". Despite the evident disappearance of the tapes that would have made up all or part of the Gregmark LP that never came to be, the Varese Vintage CD features great-sounding recordings of ten songs that were originally released as the A & B sides of five of the girls' Gregmark singles, including "Be My Boy", "All Through The Night", "I'll Be Crying Tomorrow", the hit version of "He Knows I Love Him Too Much", and two versions of "I Love How You Love Me", one of which is in stereo. My personal thanks to the folks at Varese Sarabande for including the URL to this website on the back page of this CD's front insert. Visit the Official Paris Sisters Site! Hear the Albeth and Sherrell Radio Interview! Albeth and Sherrell were interviewed by oldies DJ Ronnie Allen on his one-hour radio show on November 15, 2007. You can hear the show by going to Jersey Girls Sing and clicking on "Ronnie's Radio Page." Button graphic courtesy of Kelley PC Enterprises LTD.